Goons and thieves are always finding new methods of gaining money quickly for free, this includes them stealing from others that have worked hard for it. A brand new type of thievery has made waves across the country after police officers caught onto the criminal trend. Police officers have released this footage in order to educate others, so you can prevent yourself from being a victim of this crime. 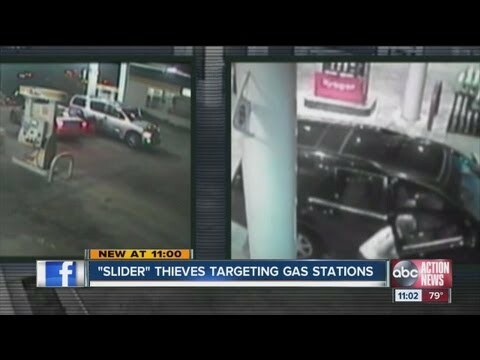 Next time you pull up to a gas station, make sure you lock all of the doors while you fill up your gasoline.